In just two months' time, the third Marvel Netflix series Luke Cage will debut, which will be followed by Iron Fist. We know that these two beloved characters will team up with Daredevil and Jessica Jones to form The Defenders, but Netflix hasn't revealed when The Defenders or Iron Fist will debut yet. Further complicating matters is the fact that the streaming service has already renewed Daredevil and Jessica Jones, but today we got some clarification on the Netflix lineup. Netflix chief content officer Ted Sarandos was at the TCA summer tour earlier today, where he shed some light on their schedule. Entertainment Weekly writer Natalie Abrams was covering the event and revealed on Twitter that Luke Cage, Iron Fist and Defenders will debut before the new seasons of Daredevil, Jessica Jones and The Punisher spinoff. Here's what she had to say below. "Marvel/Netflix sked: Luke Cage, Iron Fist, Defenders THEN 2nd and 3rd seasons of the other shows and Punisher." 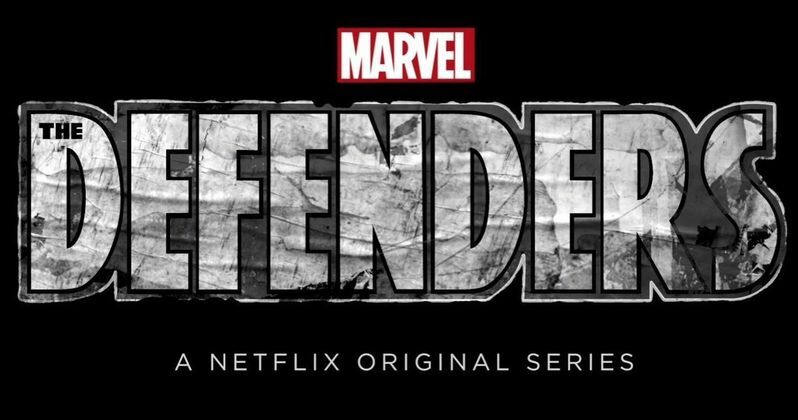 Since Netflix has been debuting two Marvel shows per year, Iron Fist will most likely debut sometime in the spring or summer of 2017, with The Defenders likely debuting towards the end of the year. This means that fans won't get to see Daredevil Season 3, which was just renewed last week or Season 2 of Jessica Jones until at least 2018. Of course, it's possible that Marvel and Netflix will accelerate their production schedule and debut up to three shows a year, but we don't know for sure if that will happen. Netflix issued a Season 2 renewal for Jessica Jones back in January, but we haven't heard anything about the show since then. A report from last month claimed that the villain in The Defenders will be Mephisto, which may be used to set up the new slate of Marvel Netflix shows. There have been rumors that Blade, Ghost Rider and Moon Knight will get their own Netflix shows, but it was confirmed at Comic-Con that Ghost Rider will be heading to ABC's Agents of S.H.I.E.L.D.. Take a look at Natalie Abrams' tweet below, and stay tuned for more on The Defenders and the rest of the Marvel/Netflix universe.